1. Choose your ‘Thrillers’… the tall center piece you want to make a statement. drama and personality to the overall creation. There you go!! It’s easy..it’s fun…it’s a s simple as 1, 2, 3!!! April 1st - accepting containers for planting. Please make sure containers are empty. May 27th – last day for containers to be picked up at our growing location. 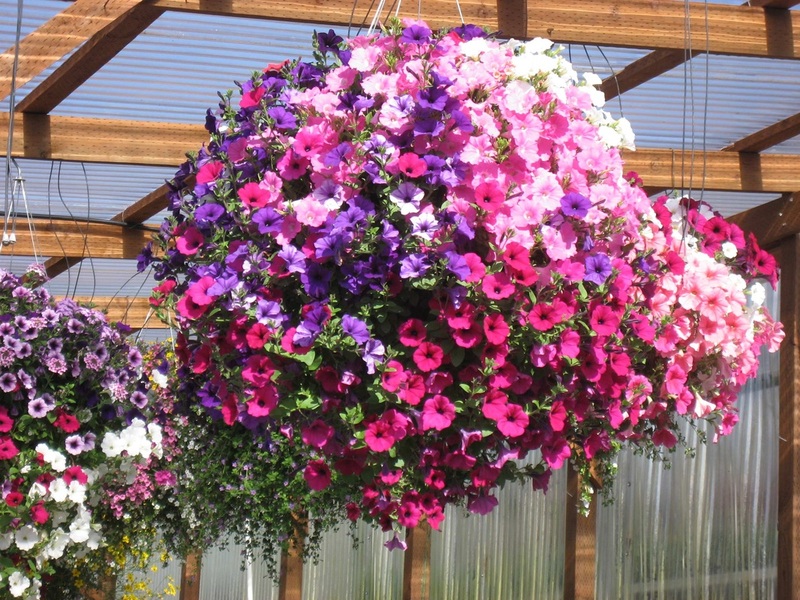 ​Our greenhouses get to hot for plants by then and plants need fresh air. All containers are cared for and are to be picked up at our growing location (not at the Rigby greenhouse) at 3479 E 100 N Rigby. We are happy to make pickup convenient for you, but PLEASE call at least one day ahead – Thank You! I have listed some cold-hardy vegetables below. In general, these are the vegetables that we can plant 4 to 6 weeks prior to our average frost-free date which for us is about May 21st. Perhaps you have already planted some. These are the vegetables that can withstand light frosts and can be planted 2-3 weeks before your average frost-free date. These plants will be killed or injured by even a light frost. However, they will tolerate somewhat cool (but not cold) soil and can be planted outside on or after your frost-free date provided you can cover them up if frost or a freeze threatens. These vegetable cannot tolerate any cold weather and do not like cold soil or cold air. If started from seed, they must have warm soil to germinate. If exposed to cold temperatures they often are stunted and unproductive for the entire growing season. Plant as the weather warms up.